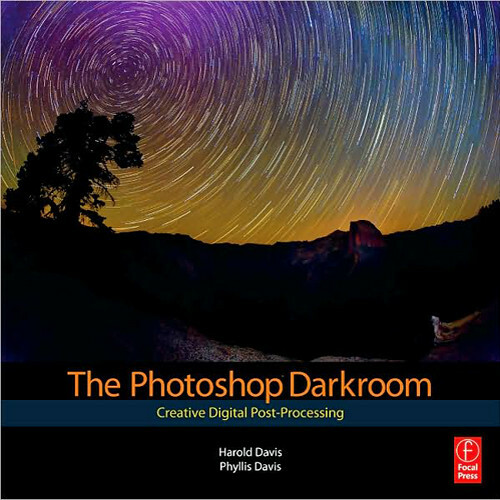 The Photoshop Darkroom - For anyone who has ever wanted to learn how to create amazing images through Photoshop, this is the book. With a dazzling display of exercises and examples, you'll learn how to "wow" your audience as well as take your own creative vision to another level. You'll use real-world examples to help get the kinds of results you've always wanted. About the Author: Harold Davis, Harold is the author of more than thirty books on a variety of subjects. He is a well-known photographer whose work has been widely published in art posters, on book covers, and in giant photo murals. Phyllis Davis, Phyllis is the author of many books about Photoshop, The Gimp, CorelDraw, FrontPage, and others. She's an accomplished designer, with books, posters, and advertisements to her credit. Box Dimensions (LxWxH) 9.0 x 9.0 x 0.5"